I grew up in a middle class neighborhood, the same one my dad did, went to its public schools, hung out on its corners and in its soda fountains and movie theaters. Almost all my friends did too. More than a few of my old pals and classmates joined law enforcement – the police and sheriff’s department, mostly – just as my dad’s pals and classmates had, in the generation before. Some of my cop classmates, I remember as smart, stable and together people. Others, less so. A few times, I’ve run into former goofballs, people who did the stupidest things you could possibly imagine, now wearing badges and guns, and all I could do was shake my head and laugh to myself. But at least, I figured, in exchange for the burden of carrying deadly force, they have received intensive training on weapons and codes of conduct. They have clear responsibilities and consequences. In Florida, it seems, civilians, without this training and clearly outlined responsibility, can carry firearms and use them – not only if their homes are invaded, not only if their lives are threatened, but if they believe they are in peril. No training. No code of conduct. No responsibility. 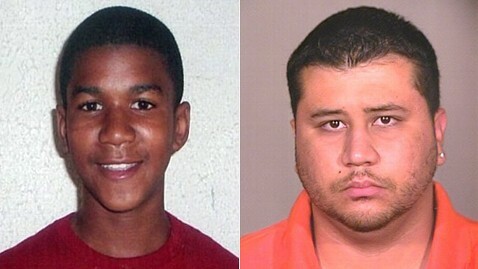 For a good explanation of Florida’s so-called “stand your ground” law, click here. I don’t know George Zimmerman, the man who allegedly killed Treyvon Martin, but I must ask why a member of a civilian neighborhood watch carries a gun at all. I keep an eye out on my neighbors’ homes too – I’m looking at a few of them right this minute – but I don’t carry a gun and go on patrol. If I saw anything suspicious, I wouldn’t shoot anyone (or get myself into a situation where I might have to). I’d call 911. We all know who pulled the trigger, but the insanity of “stand your ground” and other laws like it led to this situation in the first place. Civilians don’t need to carry firearms in public. Not doing neighborhood watch. Not ever. If we don’t change that, we’ll have more Trayvons. Many more. Eloquently put Brent. It seems the very least we can do as a civilized society is ensure that those untrained in law enforcement not be afforded the right to carry firearms in public. As we’ve seen in this case, divisiveness and paranoia mixed with a loaded weapon is far too lethal a combination. My heart goes out to Treyvon’s parents and family. Thank you for your comment, Julie. This is a tragic case from every angle. I wish we’d finally learn our lesson about the false sense of security we seem to get from handguns.